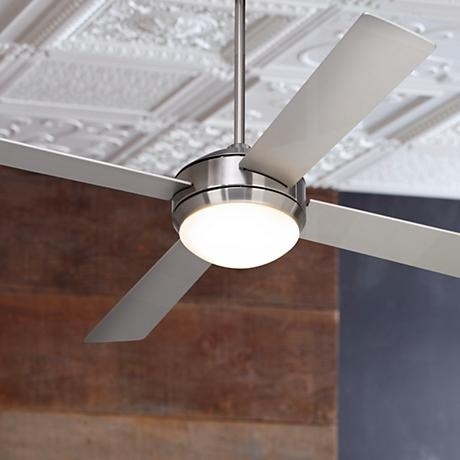 Your ceiling fan wants to have a winter alliance with your HVAC. Of course, when it’s hot, they have their summer run, with the fan wafting your body heat away from your skin, thereby keeping you cool so the HVAC doesn’t have to work so hard for you to be comfortable. But, in the winter, if your ceiling fan sits unused and unloved, you need to get it moving again, only this time, make it go forward, or clockwise when you look up at it. In this direction, the blades pull the air up to the ceiling and down the walls of the room. Since hot air rises and hovers at the top of the room, this cold air pushes that warmth away from the ceiling and down the walls, right to the part of the house where you live--on the floor. This change in fan blade directions will lower your heating bill. Why? While it’s true you’re running the fan, the net effect of the warm air moving down is that you do not have to run the furnace long enough to heat the whole top of the room before you feel any warmth at all. Because the fan is blowing the air ‘up’, instead of blowing your skin, you don’t lose body heat the way you do from the summer fan direction. The people of Pinterest certainly enjoy crafting, as shown by this fan. Most fans have a switch at the side of the base which will change the direction of the fan blades. All you need to remember is counterclockwise will cool the room and clockwise will warm it. The time when you switch the fan is also an excellent time to give it a good cleaning. Cleaning the fan will improve the air quality in your home. Some people use an old pillowcase to clean the blades. If you aren’t sure how, there are plenty of demonstrations on YouTube, many of which have ads which will take longer to watch than the actual job of cleaning the fan.